Are you planning to travel this upcoming holiday season? If so, you’ll want to create game-plan for your child’s sleep routine that will help you face the unpredictability of holiday travel. I can help you do just that with my top holiday travel sleep tips. The name of the game when traveling with small children is FLEXIBILITY. I have often talked about the importance of a flexible schedule for your baby. When you’re on vacation, this means that you have a plan for the order of your day, rather than a rigid schedule. When you remain flexible you are tuned in to your baby’s sleep cues and able to roll with unique circumstances. Once you are back at home you can get back into your normal flexible routine. If you are planning to travel for the holidays, I can help you plan ahead and keep your child’s sleep — mostly — on track. Are we traveling through time zones? How will our sleep be affected? Will I have any extra help? How realistic is maintaining our “normal” routine? Do we have a home base to help with our flexible holiday routine? While you may strive to keep to your routine as much as possible, expect that you will also need to assist your child at sleep times more than you do at home. It’s good to think about your general approach before the trip begins so that you can make a plan for how you will handle the new situation. Remember, you can tailor your plans to fit your family’s unique situation while on the road. Most families will need to do a little extra work once you return home regain your normal routine. Most children will need extra attention, comfort, and assistance in order to fall asleep in an unusual environment. Be sure to take the extra time to comfort them, especially at bedtime, and assure them that you are nearby during this time. Its ok to sit by your child’s crib or by the door — that’s better than regressing back to rocking or feeding to sleep. If your child is older, be sure to have a little chat. You can help them by describing how vacation is different than what we normally do, and that when we get home we will go back to “sleeping in our own bed”, or whatever the norm is for you. Having this conversation at the beginning of vacation will make it easier when you return home and have to re-explain. Not that they won’t hope you forget of course! His Own Sleep Space. Is there a guest room with an attached room or walk-in closet big enough to accommodate your child? Would a hotel be a better option? A Consistent Naptime. Will you be able to step away from the family’s plans for the day to be sure your baby gets the naps he needs? Is there a room that he can nap in? Or, if you need to return to your hotel, is transportation available for you to do so? A Flexible Schedule. Can your family work around your baby’s schedule? Could you have dinner earlier so you can put your baby to bed at their bedtime? Think of ways to participate without completely throwing your child’s sleep schedule off. A Consistent Sleep Space. If family members expect for you to move from house to house just to see everybody, consider having one “home base” instead. Have family visit you during the day at that home or make short trips out during the day. You can explain how this season of life is brief and you just want to avoid as much stress as possible for your child. If you choose to do this, I strongly recommend that you switch years — one year at one grandparents’ house and one year at the others so that feelings aren’t hurt. Don’t choose all new duds for the trip just to look good for family. The more familiar, the better! All of these items will communicate “normal life” and “mine!”, which will feel like safety and security for your baby. The 3 most common situations you will encounter away from home are long trips in the car, an overnight in a hotel, and sleeping at Grandma’s or at a friend or family’s place. I want to give you some practical tips to handle each change in venue as gracefully as possible. If you traveled through time zones, work around the NEW time to help your child adjust. The U.S. Department of Transportation says that during the 6-day period over Thanksgiving, car travel increases by approximately 54%. Over the winter holiday period it increases approximately 23%. That being said, about 90% of travel this season is by car. In other words, most of you will be logging some time in the minivan this holiday at some point. Imagine being strapped completely down for hours when what you really want is to move your body, crawl, or run all day long. Riding in the car is not fun for most adults but it can be excruciating for some children. If you travel by car for over 100 miles, your normal routine will most likely be affected in some way. 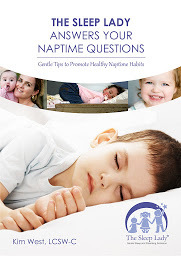 Encourage your child to take a nap near the normal time by doing your normal naptime routine as much as possible. Talk to him in the same way, make a stop to change his diaper, sing a song, and make the car darker and quieter if possible. Bring familiar items (blanket, lovey) that he normally sees or has at naptime. If his routine is really thrown off because of car noise and stops, be flexible. You can try again tomorrow in your new space. The idea is to work with what you have, but be flexible when things don’t work out like you’d hoped. It is wise to confirm ahead of time that the hotel has a safe crib available or plan to bring what you need for your child’s sleep. I suggest that when you make your reservation you ask if they have a crib available. Confirm this again the day before, however, so they can hold one for you specifically. As I mentioned earlier, remember to bring all of his “favorite things”, including a white noise machine, his lovey, bedsheets, favorite book, and toy. These items create a sense of normalcy for him and will really help him settle down in a strange place. Take some extra time to go through your soothing bedtime routine. If your child is a little bit older it may help him to explore the hallway and the hotel room thoroughly. When he feels like he knows where he is, he will be able to settle down for sleep. Be sure to close the curtains and make the room a nice, cool temperature for sleep. Keep electronics turned off for at least 30 minutes before bedtime so your child will not be distracted by the glowing lights. Remember, electronics like phones, tablets, and even televisions can interfere with melatonin production. As recommended earlier, if at all possible, choose one place for your home base during your stay. This will provide much needed stability for your daily routines. Upon arrival, take some time to unpack and get settled. Set up your child’s sleep space and let him become acquainted with it by playing in his bed ahead of time. Use the familiar items you brought with you to make the bed comfortable and familiar. I find it can be tempting for parents to let their kids go beyond their normal limits while at Grandma’s house. We may lose track of time, there are so many engaging extra activities, or maybe there are just lots of family members to visit with. Do your best to keep track of the clock, remember your own plan for your child’s sleep routine, and try to stick to it when possible. Remember that its easier to stretch the limits when your child is already well rested before vacation AND when they are a bit older — think school age. It may also help to do dramatic wake up in the morning in order to start a new day off on the right foot. You can be the judge if that will be most helpful for your situation. When we’re off our normal routine we may be tempted to throw out all progress we have made with our baby and sleep coaching. Try not to throw it ALL away! If you have just successfully stopped nursing at night, offer your child the extra comfort and support he needs if he wakes up, but don’t go back to nursing him. Find some way of soothing that won’t lead you back to where you started and won’t set up a new sleep crutch. The same applies to rocking, bouncing, patting, etc. Most babies will experience a little bit of sleep regression during and after holiday travel, and that is normal. My book, Good Night, Sleep Tight, can remind you of the steps of The Shuffle so you can gently — yet quickly — get back on schedule. As soon as you are home you can get right back to your normal bedtime routine and within a few days you should be back where you were before your trip.